CCS staff member Jason holds a picture of HEN clients who shared their testimonies last year. 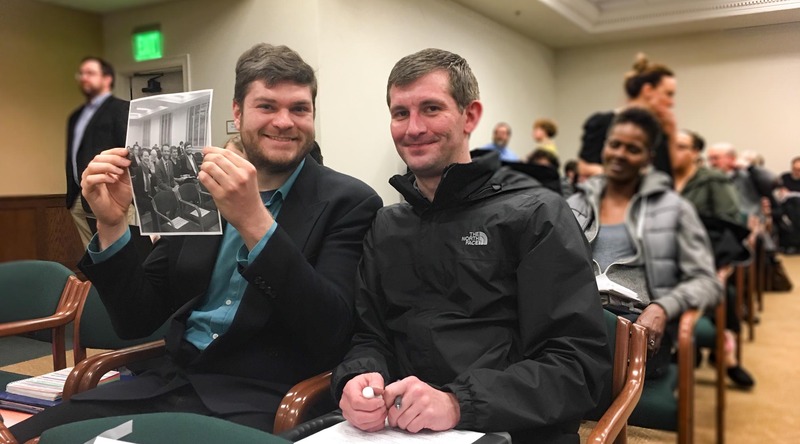 On Monday March 26, current and former clients of the Housing and Essentials Needs (HEN) Program traveled to Olympia to thank legislators for investing in homelessness solutions that work, and encouraged them to do more to address the crisis of homelessness in our state. For the first time ever the legislature has agreed to increase funding for this program above previous levels, a victory made possible by the tireless efforts of these and advocates like you! Click here to watch HEN clients share their testimonies.